It's tempting to reduce the font size and include every last bit of information you have on your business card. I have seen cards that include the staples (name, title, business name, phone, email, website), plus every social network profile, a sales pitch, a comprehensive list of services and a bio. If you have this much information on your card, you are most certainly losing the recipient's attention due to information overload. Funky fonts are fun, but there's a time and a place for them, and your business card usually isn't the right place. Make sure the fonts you use on your business card aren't too small, too fancy, or distorted in some way, making your card difficult to read. With affordable business card printing, it's very common to have full-color text and designs on both sides of your business card. But, avoid the temptation to completely cover every white space on your card, unless absolutely necessary. It's impossible for your recipient to make notes or jot down a memory trigger when there is no room to write, when there is a dark color covering the entire surface, or when a high-gloss finish is applied to both sides. For those who regularly use business cards for note-taking, your black, glossy card may not make the cut for them. 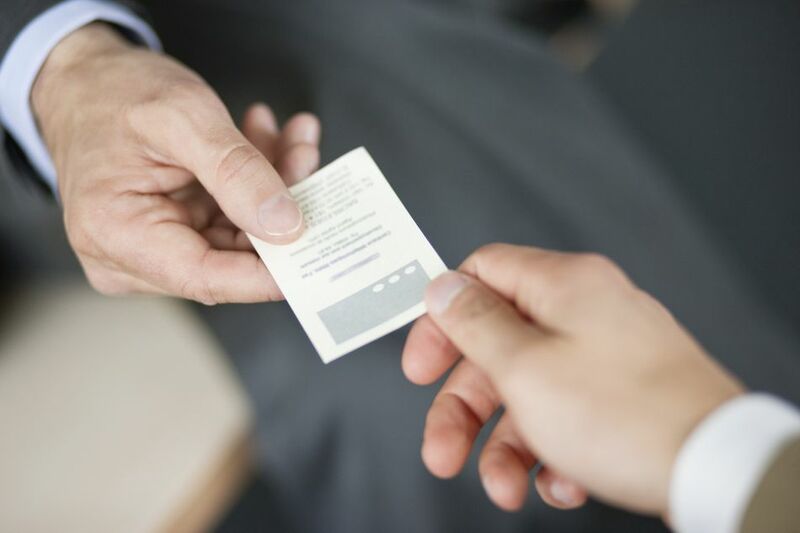 You may be able to save a moderate amount of money and update your information easily if you print them yourself, but the impact of handing over a homemade business card isn't the same as cards that are printed professionally. However, if you have two opposing identities -- let's say you're a graphic designer by day and a tow truck driver at night -- you should create a business card for each business to avoid confusion and speak directly and appropriately to each distinct audience. While I recommend keeping your business card simple and streamlined, that doesn't mean you can't use some valuable real estate for a special offer or other call to action. Craft a short message that offers a discount, directs the recipient to your website, or provides a tip that will be relevant and useful to the reader.